CCH Candidates volunteering in June 2012. Our youngest volunteer helps organize the dispensary. Whether you are a practitioner, student of homeopathy, or community volunteer, HWB welcomes your service. 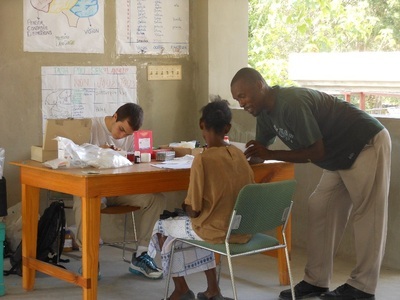 The Fundamentals of Homeopathy, taught in Port-au-Prince, is designed for students who are medically licensed professionals. 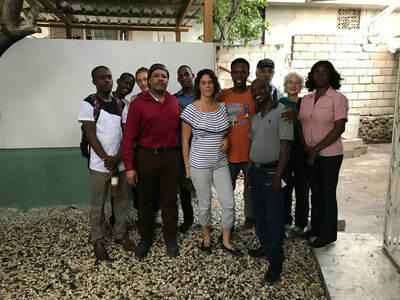 The Fundamentals of Homeopathy for the Childbearing Year is offered to hospital and community birth attendants in Mombin Crochu, located in rural north east Haiti. Volunteer Positions: Please choose at least one. Clinic Mentor: Available for well-established homeopathic practitioners who are capable of modeling and guiding course participants in the development of clinical skills connected with the lessons then being taught. Adjunct/guest instructor: Appropriate for those with a specialized topic to present or who can teach a portion of a particular lesson(s). Clinic Support: Available for those wishing to help in the operation of community teaching clinics, including reception of patients, initial intake, dispensary, record-keeping, photography, and/or media support. 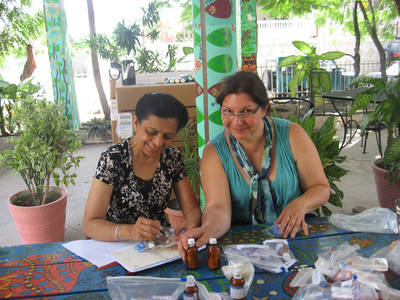 All volunteers have the option of auditing the class and/or shadowing a HWB professional homeopath. November 2-8, 2018 (Fundamentals) November 10-16, 2018 (Childbearing) January 18 – 24, 2019 (F) January 26 – Feb 1, 2019 (C) March 15 – 21, 2019 (F) March 23 – 29, 2019 (C) May 17 – 23, 2019 (F) Clinic Mentor Adjunct/Guest Instructor Clinic Support Community Homeopath I am a student of homeopathy. (School? Tell us more below.) I am a homeopathic practitioner. (Credentials? Tell us more below.) I'm interested in volunteering with HWB in Haiti in the future. Please keep me informed of additional opportunities.